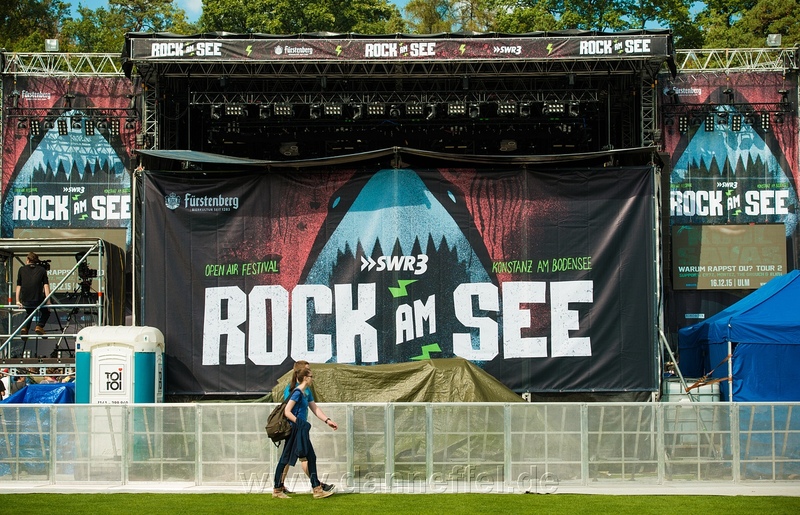 Again we’ve created the visual for the ROCK AM SEE Festival at Lake Constance (Bodensee) in southern Germany. Of course we made a free interpretation of “Lake” again. Thankfully there are actually no sharks in the lake nearby. We’ll make a portfolio update soon with a lot more projects from the last months. Thanks to Chris Danneffel and Daniel Drescher for the great festival photos. This photo shown here is by Chris Danneffel. Heute sind die Belegexemplare bei uns eingetroffen. Wir hoffen, dass wir bald Fotos machen können! Auch von all den anderen Projekten.